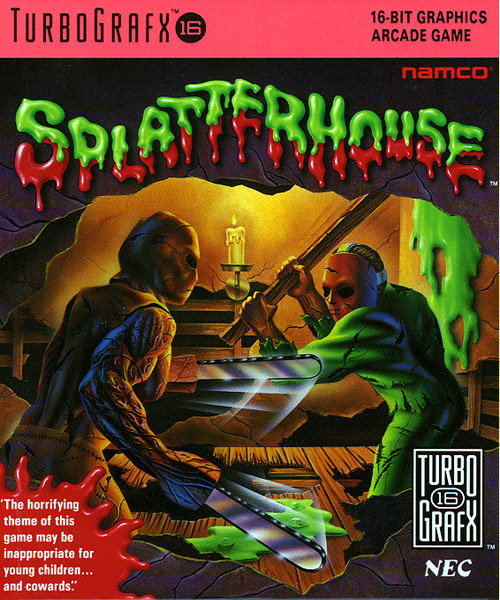 For our halloween special we decided to go visit Splatterhouse. During our visit we learn all about the terror mask and the Turbografx-16 system from NEC. Will Rick save Jennifer from Dr. West and the horrors found in the splatterhouse? TV and news brings reviews of Ash vs Evil Dead and Crimson Peak as well as we check out trailers for Through the Looking Glass, The Hateful 8, and The Warcraft movie. Youtube Red starts their new pay service and slave leah is going away.